camera focus [N8] or volume buttons. I recommend use volume buttons, it gives minimal impact to energy consumption. 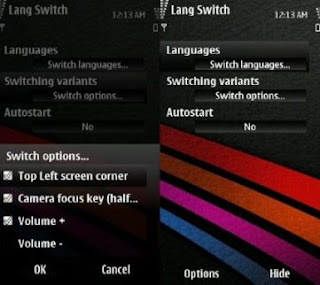 LanternSoft LangSwitch v1.1 S60v5 S^1 S^3 Anna Belle SymbianOS9.4 Signed URL http://symbian2share.blogspot.com/2011/09/lanternsoft-langswitch-v11-s60v5-s1-s3.html. NEXT.